Joe Foster runs day-to-day operations at this multi-million dollar enterprise in Blue Ridge, Ga.
"I'm selling apple pie to Americans. How lucky can I get?" Open daily, 7 a.m. - 6 p.m.
Joe Foster has hit the motherload, and no one knows it better than he. Years ago, Foster worked construction and then in the sales and marketing industry, fighting to put batteries on store shelves. "I would fight for an inch of shelf space," he explains. The frustration in his voice was obvious, and then the light appeared. Tim Mercier, his father-in-law, proposed a question one day, and Foster had to repeat it to make sure he understood it correctly. "You want me to sell apple pies to Americans?" Amazed and bewildered at the need for such a question, he realized life couldn't get much better. Georgia destination, visiting antique and rare book shops scattered between intimate specialty shops; they even have the Blue Ridge Scenic Railway that will take you an hour down the road to another state. How many towns can say that? 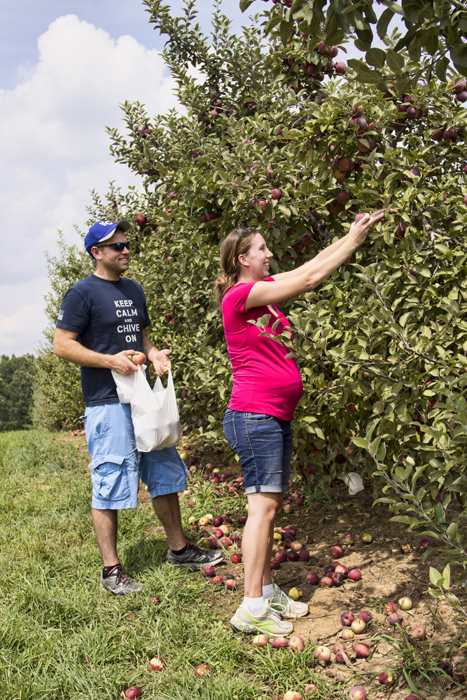 And thanks to Mercier Orchards located just outside the city, acres and acres of hilly mountain terrain yield around 75,000 bushel of apples every year and woo tourists with the whiff of fresh baked apple pies. The attribute their success to being "very reactive. We react to what customers want," says Foster, staying true to their core business, apples. 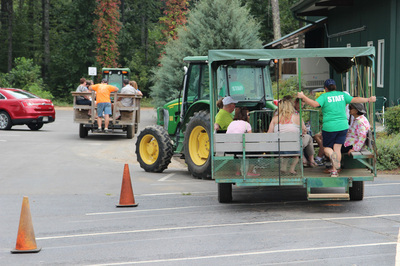 They employ 80-90 locals year-round - including year-round pickers (after all, there's always something to be done) - , with an increased sales force of 200 during the fall season. Some have worked at Mercier for over 20 years, making it a family business from the orchard workers to the owners; they are all in it together. Tim Mercier, son of patriarch Bill Mercier, runs the operation but Foster -- who refers to his official title as Son-in-Law #2 -- runs the retail operations. After the initial big question of selling apple pie to Americans was offered, three years into this journey, he proposed and has seen some changes, not to the business' core philosophy but to its technological advancement. "It's always a hard decision to go forward, to be pushed out of the comfort zone," says Foster. When do you move forward? "I realized that 'if we had the time and money to do' never came," he admits. The family agreed from the beginning that they "don't do it unless it was quality." This touchstone provided the all the answers. 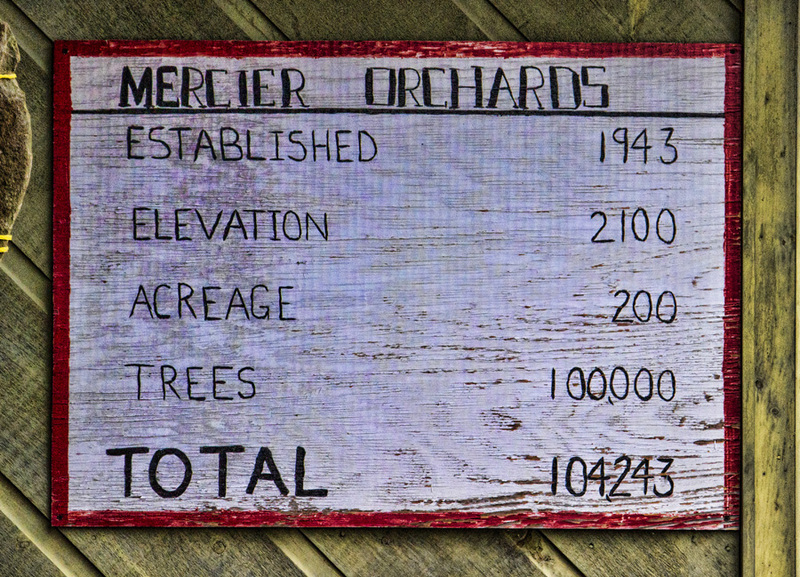 Bill and Adele Mercier began Mercier Orchards in 1943 with 27 acres. Foster remembers the advice Bill gave him for success. "Run a scared race and always plant trees. 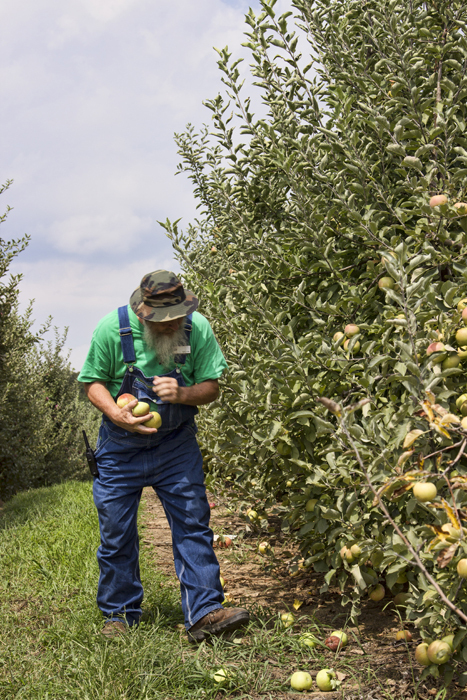 The day you stop planting the trees is the day you go out of the apple business," said Bill Mercier. Foster remembers those words, so "every year we plant five-ten percent over again. We're prepared for the next 25 years of business." He has bulldozed 2000 trees this year and plans to plant back over 5000 - which will yield produce in about five years - and will continue to plant year after year for posterity. They spread Granny Smith, Arkansas Black, Mutzu and 35 other types of trees over 350 acres. 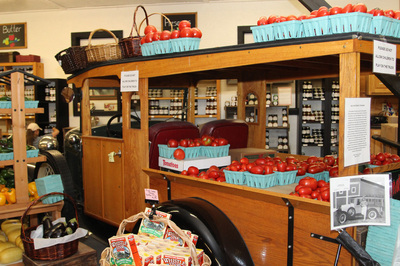 Mercier ships 60 percent wholesale to groceries who require a specific size and circumference; the big ones stay in the Blue Ridge Apple House. There's a big demand for Georgia grown apples and being a partner with Georgia Grown has solidified their quality. They partner with other orchards and businesses, producing a multitude of products. As the only packer left in the state, "We make all the cider in the state," says Foster as he proudly shows off his multi-million dollar cider facility. And what to do with those apples that end up on the ground? Since they "can't touch what's on the ground," they meshed a little ingenuity with creativity and "scooped up the ground cover and now we are making hard cider from what was nothing." Grumpy Granny, Adele's Choice, Black Bee, Apple Bramble, Just Peachy. According to Foster, "Old #3 is a hit this year. Great formula, gonna stick with it." Sales from hard cider more than doubled last year's sales and it's picking up quickly. The have also added a tasting room for Mercier's Farm Wines - Fall Harvest Apple, Blackberry Winter, or Summer Sweet Peach. And never forget about the fried pies! With over a 1.5 million made and sold each year, it's the fall season that spikes these numbers. "We started out with three counters selling pies; now we've grown to 12, and it's still not big enough," says Foster. 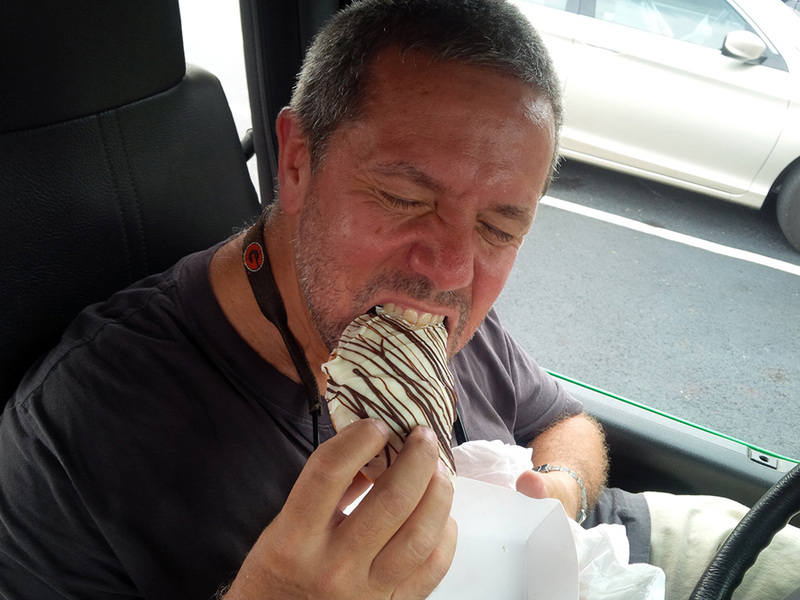 This fall season, he averages sales of fried pies - with apple being the star - at 12,000 to 15,000 a day (busting records from previous years). Other favorites are peach and sweet potato; just one taste and you'll understand these statistics. There's UFest, UFish, USelect, and UPick, plus more seasonal events, and he suggests people to "bunker down and get ready. "UPick was an instantaneous hit with weekends getting the most traffic, beginning in the spring. "Every weekend, tractors keep rolling," he says. It became all about the tractors, adding another to the fleet; two tractors and two wagons are moving through the orchards all the time. 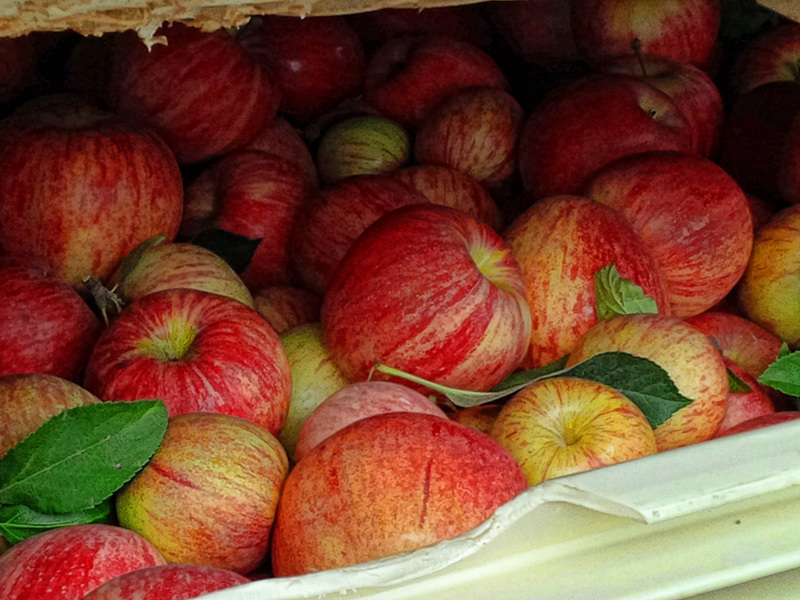 From April until November, orchards are filled with visitors choosing their own apples. Not to miss out on the holiday season, Santa plans to make his appearance. 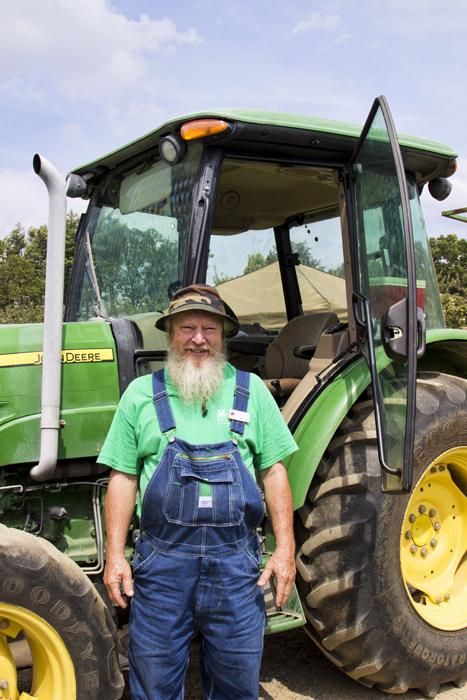 It's still unclear whether he'll be sitting on a tractor or not. 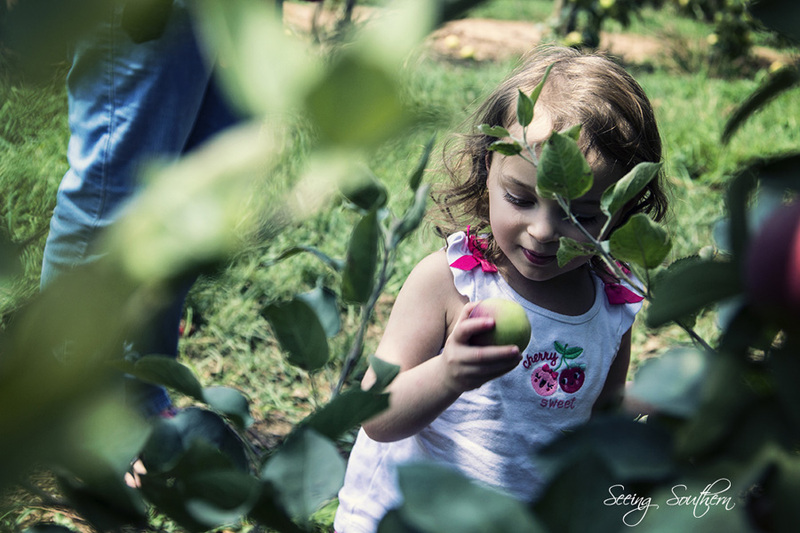 There are currently four generations moving throughout the orchard. 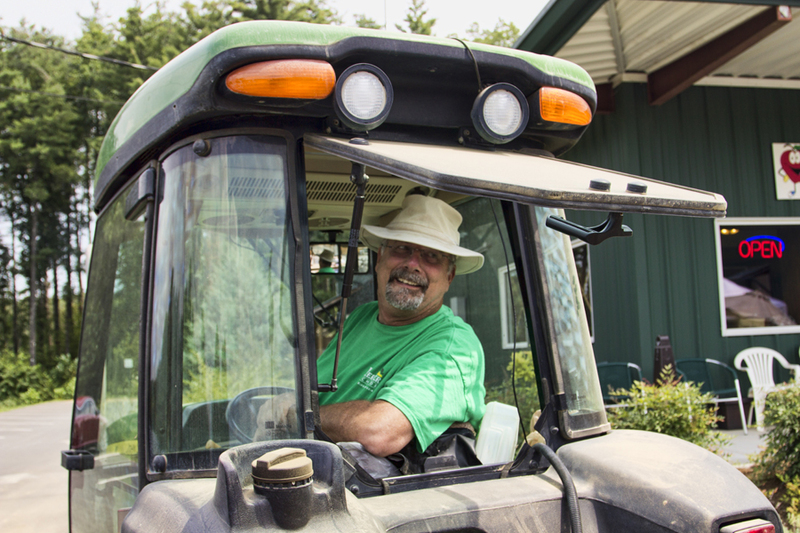 "David - Son-in-Law #1 - runs the orchard operations, and Missy - First Daughter - is the product buyer, " says Foster. Foster's wife Amanda prefers to keep her seat as Superior Court Judge of the Appalachian Judicial Circuit in Fanin County, but as Foster reminds, it's still a family affair and it's still very much the same as when Bill Mercier started the company in 1943. "We have the same things," says Foster, "we embrace it and maximize it." Even during the 2008 recession, Foster realized that they were "continually growing, year to year, through the worst of the economy." A testament to home grown quality, pride in a product, and family togetherness. Today, all roads lead to Blue Ridge. It becomes an easier adventure with the building of the 515 Highway Corridor (Zell Miller Highway). From Atlanta, it's only 90 minutes and the parking lot proves that people have migrated to North Georgia's natural beauty from Atlanta and from every neighboring state. Once upon a time, there was a magical orchard in a quiet little mountain town. and only the most wonderful things grew here - apples and strawberries, peaches and blueberries, all kinds of things. You could even pick your own apples! And people came to the little town from all over, because it was so much fun to visit. We're still here. Welcome to Blue Ridge, Georgia.